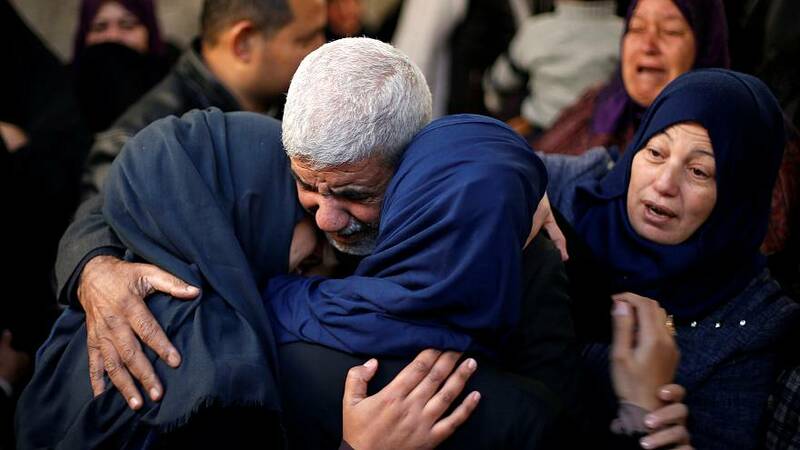 Thousands have attended the funerals in Gaza City and Khan Younis for two Palestinians killed in Israeli airstrikes. Hamas says two of its gunmen died, while more than 20 other people were wounded, including children. Clashes between Palestinian protesters and Israeli troops went on into a third day on Saturday, with scores injured in the violence. At least two people were killed on Friday when thousands of Palestinians demonstrated.